Matthew Virtue's second-half goal rescued a point for Liverpool as they drew 1-1 with West Bromwich Albion in the Premier League Cup. 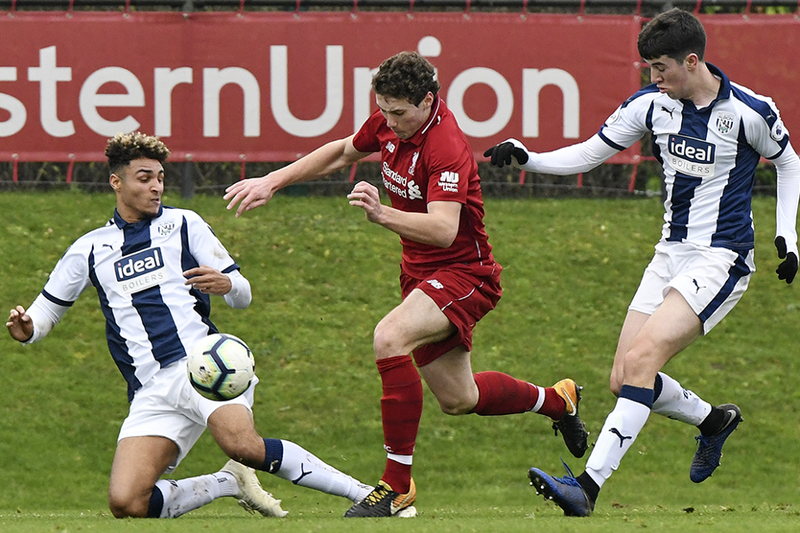 Kyle Edwards put West Brom ahead when he picked up the ball and ran at the Liverpool defence before finishing into the bottom corner. But Virtue gave Liverpool only their second point of the PL Cup campaign when he lofted the ball over the goalkeeper from distance on the hour mark. Liverpool remain bottom of Group C, two points behind West Brom, who would have gone above Burnley into second place if they had won. Swansea City are top of Group E after a 2-0 victory over Oxford United. Jordan Garrick opened the scoring on 38 minutes with a header that went in off the bar while Joel Asoro made sure of the win 12 minutes from time when he rounded the goalkeeper to slot home. Swansea are top on seven points, two clear of Wolverhampton Wanderers having played a match more, with Oxford a point further back in third.